Managing a multi-author blog is difficult. 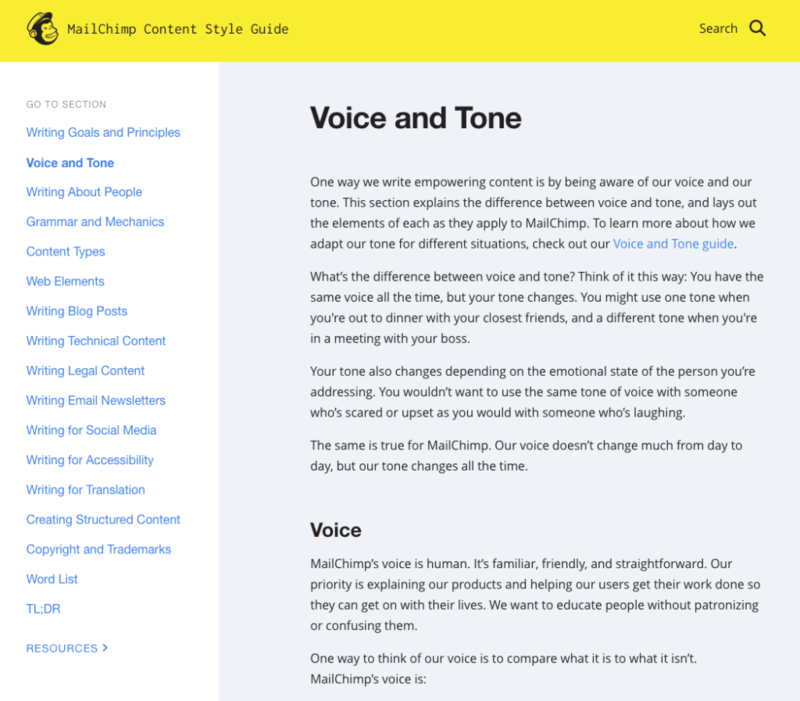 A styleguide is a cheat-sheet for your entire company to follow with its communications. 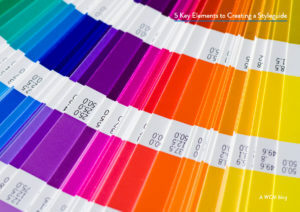 From spelling to punctuation to colors, a styleguide controls how a company will present itself in print and digitally, which ultimately sets the tone for its brand and its standards. So where to start? Adopt an existing one and make modifications to fit your company. This helps with branding, consistency, and professionalism. AP style is a popular styleguide, but there are many to choose from. Many organizations default to an established styleguide but have a separate, smaller version to address items that are unique to the brand. 1. Aesthetics – Consistency in colors, fonts, sizing, and the general look and feel determines a good portion of the company’s branding. You’ll want to name the colors and fonts that can be used so others won’t deviate from the brand and the logo. 2. Punctuation – Does your company write phone numbers with parenthesis: (444) 555-5555 or without: 444-555-5555? 3:00 A.M. or 3:00 AM? Oct. 1, 2015; October 1, 2015; or 10.1.2015? These are small, but important elements that come up often in meeting minutes, schedules, events, and calendars, and should be consistent across all content. 3. Spellings – How you spell certain words related to your products and services can make a difference in your brand presentation. For example, if you’re in the music industry, do you spell out Deejay or write DJ? If you work in landscape design, do you write backyard or back yard? A web company may need to consider whether they design a Website, a website, or a Web site. 5. Word choice – Some companies prefer the word “contribution” over “donation” as well as “partner” instead of “donor.” The styleguide is a good place to differentiate word preferences. 6. Voice and tone – The style of the actual writing should be consistent across the board. We like to walk our clients through a personality test to determine the company’s personality. This helps guide people to write from that “personality” when writing for the company or organization. Review your styleguide with your employees annually, if not more, and update it regularly with the latest style practices.